It’s common to join tables within SQRs to retrieve data from normalized tables. As SQL statements consume significant computing resources, such joins may be a hindrance to performance of the SQR. Further, as the number of tables that are used in the join increases, the performance decreases. This rational makes us look for ways to reduce the number of tables used in the join as a means to tune the SQR. This is when Load-Lookup in SQR comes into picture. Using Load-Lookup is a two step process – here’s how to make use of it in your SQR programs. You start by loading the Load-Lookup. This can either be done within the setup section or within a procedure. While done within the setup section, it is only executed once. When within procedures, the execution happens each time the code is encountered. The code snippet shows how this is used within the setup section. On execution of the below Load-Lookup, SQR creates an array containing a set of return values against keys. Once we have the first step in place, it’s time to utilize the lookup. The below code will essentially look up for a key (PRODUCT_CODE) in the array and return the return value (DESCRIPTION). Although Load-Lookup doesn’t support multiple keys or return_values, we can do this by concatenating the values using database specific concatenation operators. So if you are on Oracle DB, this would be how you can do it. The return values can later be separated using the unstring command. To limit the values that are populated in the Load-Lookup array, we can use a where clause as shown below. Does DB2 support multiple return values ? I’ve not worked on DB2 yet but you may want to try the CONCAT operator to see if it works. Please let us know if this helped. Nice to see this post. that is showing some light to a newbie.Does this LOAD LOOKUP can be used in Peoplesoft page where i’m trying to filter one field values depend on other? like there are two fields one Business unit & other is Plant. when i select a bussiness unit the plant Lookvalues should sort according to Business unit. if i try this in SQR but SQR is called later once you submit your data from peoplesoft page. Bit confused here…can you show some light? Craig, glad that you found it useful. 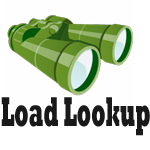 Load lookup is limited to SQRs. 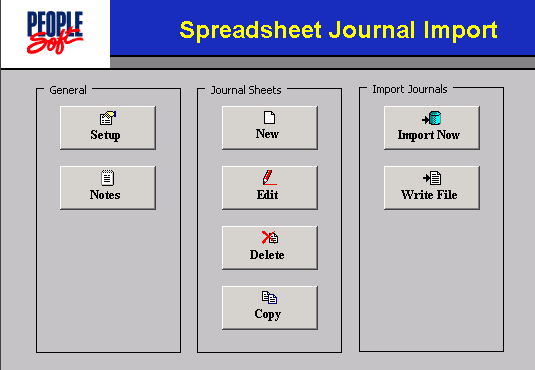 You cannot use it within a PeopleSoft page. For your case, a view that has both Business Unit and Plan as key fields could be used as a Lookup / prompt table for Plant field. Also, Business Unit should be a high level key on the record that is used on the page. PeopleSoft would take care of the rest. I created a view/record with BUSINESS_UNIT,PLANT with Key values. Now when i select business unit(it has another prompt table values(Business_unit,descr)it goes well. But when i select for the PLANT(With new views/reocrd created as prompt table), it says no matching values. The view/record i created has PLANT matching values with BUSINESS_UNIT column values. I don’t know where i’m getting wrong.Any idea? Can you plese tell how we can include subquery for the where field. I haven’t tried this myself but you may want to give the below one a try. If your where clause is longer ( >256 chars), you can assign it to a string and then use it with the Load-Lookup. Do you have an exclamation mark (!) in your where clause?